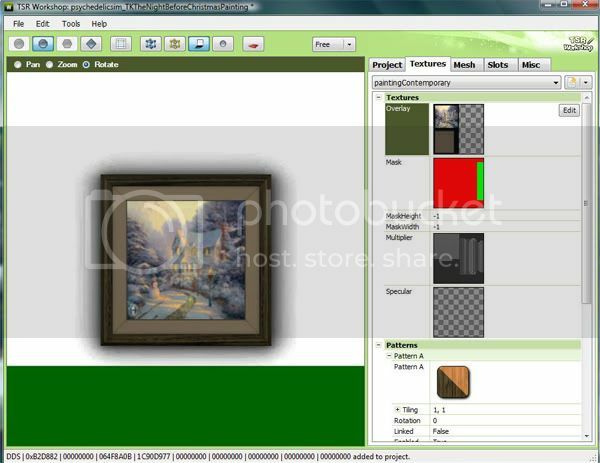 This tutorial will show you how to create your own custom paintings for The Sims 3 using existing meshes. To do this, I will be using the TSR Workshop v2.0 and Paint.NET v3.5.8. Please keep in mind that this tutorial assumes you have a general knowledge of meshes, the TSR Workshop and Paint.NET. *NOTE: We will be working with DirectDraw Surface (.dds) file formats. If you are using an earlier version of Paint.NET (below v3.10), you will need to download and install the DDS File Support Plugin to be able to load, edit and save DDS files. If you have v3.10 or above, you DO NOT need to install the plugin. It is already built in. Open up the TSR Workshop and go to Create New Project > Object, then click on the Next > button down in the bottom right corner. You should see a list of objects on the left side of the Object clone window. Under the Object by Category menu, click on the plus sign beside Decor. Now select Paintings and posters. In the right window, you can now see previews of the available paintings. Scroll down until you get to Painting contemporary, then click the Next > button to continue. Before proceeding to the next step, we need to choose an image to use for our painting. I will be using the one below. 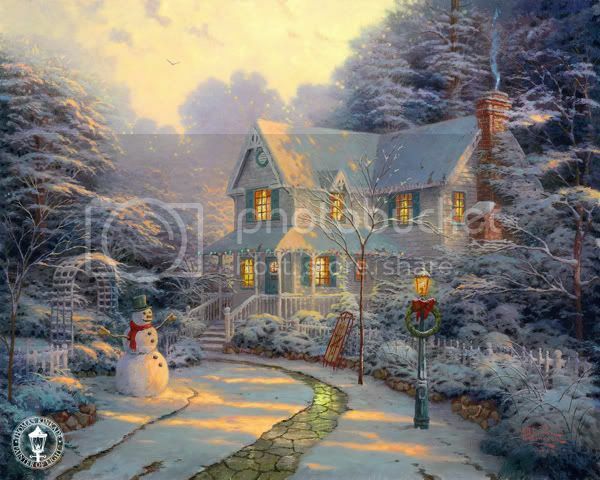 An easy way to find a large selection of good images to use is to Google one of your favorite painters, such as Thomas Kinkade. Save the image to your hard drive. I suggest creating a folder that you can keep all of your project files in a place where you can find them easily, such as on your desktop. Go back to Workshop. In the Project details section, enter a unique name, title and description for your painting. 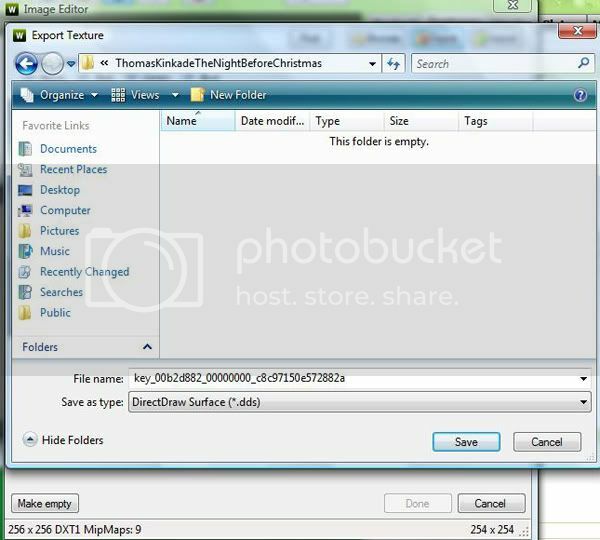 You must do this step so you do not overwrite the original file. Click Next >, then OK to finish. This will bring up the project window where you will now see the original painting that we cloned. Here, you will see the various categories and subcategories that are available. You can go through and check more categories if you wish, but leaving the default selections is fine. Choose the Textures tab in the upper right corner. 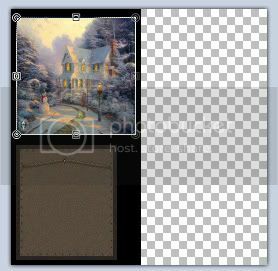 As you can see from looking at the variations dropdown menu, there are three different frames available for this particular painting. Make sure you are working with the first one, then select Overlay and click on the Edit button that appears. 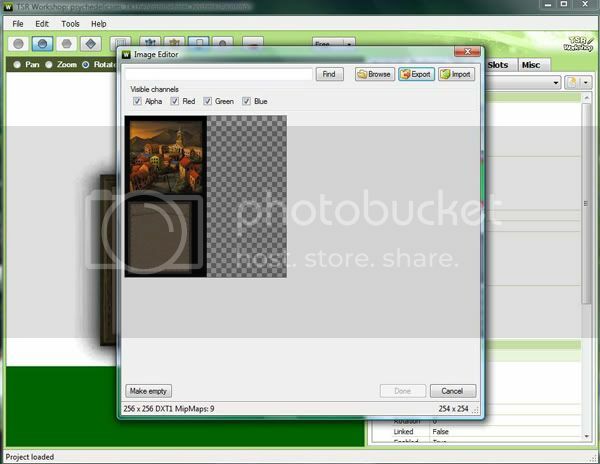 This will bring up the Image Editor that we will use to export the original painting file so we can customize it with our image. Click on the Export button in the upper right corner. It will ask you to save the file in DDS (DirectDraw Surface) format. Leave the current default name and click Save. Now it’s time to open up Paint.NET. Open up the DDS file we just exported. You should now see the original painting (front and back) on a transparent background. We will only be editing the actual picture image. Next, open up the image that you saved earlier. This is what we will use to replace the original painting. Go back to the DDS file. Choose the Rectangle Select tool from the left tool menu and make a rectangle (or square in this case!) around the picture. This is what we will use to determine the dimensions of our image. From the top menu, select Edit > Copy. Now choose File > New. 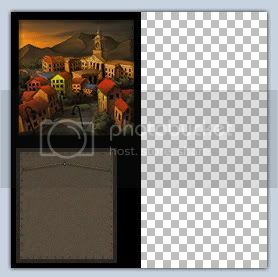 Write down the width and length so we can use them to resize our image for adding to the painting. Click the Cancel button on the new image, because we will not be using it. 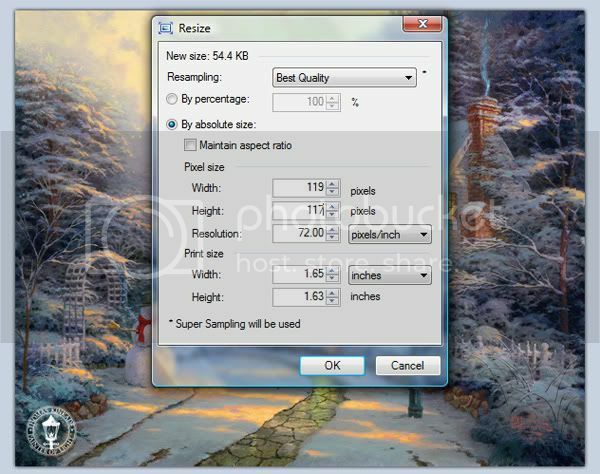 Go back to your image and click on Image > Resize. Fill in the width and length, making sure Maintain aspect ratio is unchecked. Go to Edit > Select All, then Edit > Copy. Switch back to the DDS file. The picture image should still be selected from when we copied it to get the dimensions earlier. Go to Edit > Paste. Using the Move Selected Pixels tool from the left tool bar, move the new image over top of the old one. Now it is time to save our work. Go to File > Save. A box will pop up asking for the Save Configuration. Select DXT5 (Interpolated Alpha) from the dropdown menu under Settings > FileFormat. Make sure that the Weight Color By Alpha and Generate Mip Maps boxes are ticked under Additional Options, then click OK.
Go back to Workshop. We now need to import the new image we created. 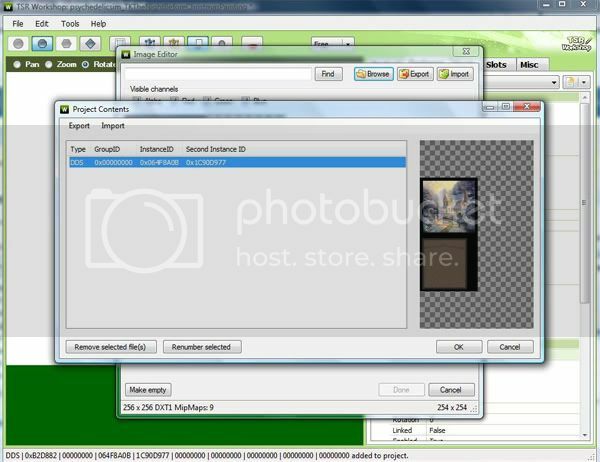 The Image Editor should still be open from when we used it earlier. If not, select Overlay and click on the Edit button. Click the Import button in the upper right corner. Choose the DDS file and click Open. You should now see the new painting we created. Click done to close the window. 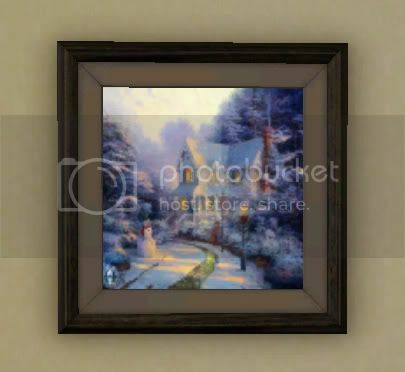 Our painting is now in the preview window with the new image we added. Since there are 3 different frames that are available for this particular painting, we will need to change the remaining two variations to match the first one. This process is much easier and quicker than the steps we used to change the first variation. Choose the second variation from the dropdown menu. As you can see, it defaults back to the original painting but with a different frame. 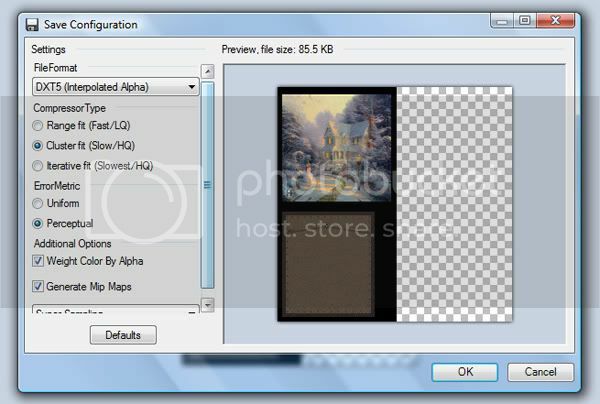 To change it to our new image, select Overlay and click the Edit button to bring up the Image Editor. This time, we will be choosing the Browse button. The Project Contents window will pop up with four different columns – Type, GroupID, InstanceID and Second Instance ID. Select the only file listed and click OK, then Done. Repeat the same process for the third variation. Now we need to save our project. Make sure the first variation is chosen again, then go to File > Save. 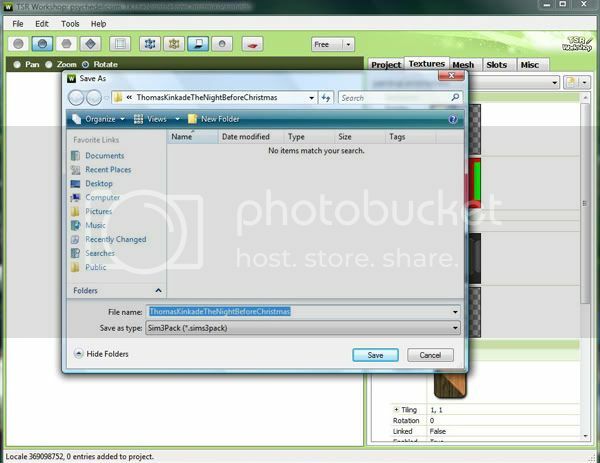 Navigate to your project folder and click Save. It will now be saved in WRK format so you can go back and edit the file if you need to later. We need to now export the painting into Sims3Pack format so we can install it into the game and share it in The Sims 3 community. Go to File > Export > To Sims3Pack. Enter your information in the CreatorDetails box that pops up and click OK. 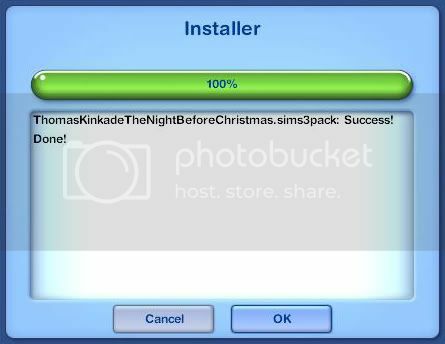 Choose a name for your Sims3Pack file, then click Save. You will then see a box pop up that says Export done! Click OK.
Our new painting is now ready to be installed in the game so we can check to see how it turned out. Go to your project folder and double-click on the Sims3Pack file to install it. If it installed correctly, you will see the following box appear. Click OK to close the installer. Start the game and go to one of your active households. In Buy Mode, select one of the object tabs that has wall decorations, such as Living Room or Study. Choose Wall Decorations. Scroll down the list of paintings until you find the one you created. Select the painting and place it on a section of wall. Take a look at your painting to make sure each frame looks the way you want it to. If so, you’re all done!